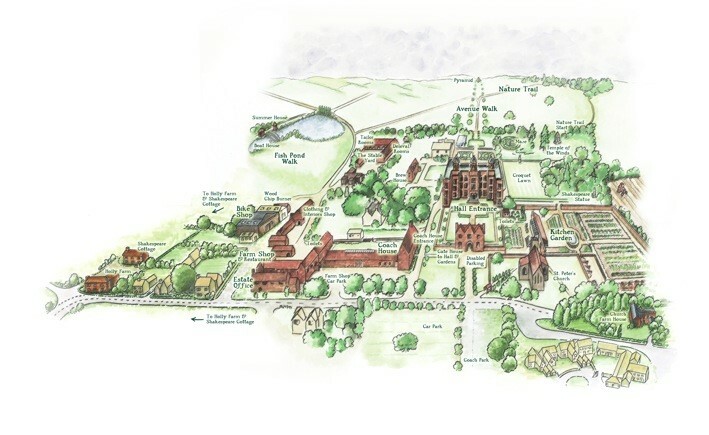 The exhibition will be carefully sited across 3 main areas with a further dedicated place for smaller pieces. The point at which the dramatic nature of the architecture of the Hall becomes apparent. 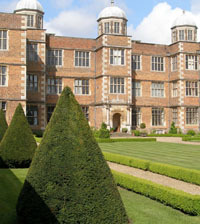 A regular pattern of box edging and topiary follows the outer original Elizabethan walls, leaving the central view of the Hall from the Gate House uninterrupted. Standing guard in the forecourt are four topiary unicorns, representing the Jarvis family crest. Reorganised in 1900 with the help of experts from Kew, the West Garden is a riot of colour from April through to September. Wide borders filled with botanical surprises such as the naturalised Crown Imperials, elegant Edwardian Daffodils and a Handkerchief Tree frame a tapestry of box-edged parterres bursting with glorious Bearded Irises in late May/early June. A spectacular pageant of spring bulbs begins in early February with wonderful Snowdrops and Crocus Thomasianus, continuing through March and early April with drifts of Lent Lilies and our unique collection of heritage Daffodils, Aconites and Snake Head Fritillaries until May when our famous Irises steal the show in the West Garden. There are also winter-flowering and scented shrubs, Rhododendron, and an underlying structure is given by topiary and some wonderful trees – the ancient, contorted Sweet Chestnuts that overlook the croquet lawn are still productive. Meandering paths lead you to our Temple of the Winds built by Antony Jarvis in memory of his parents, a turf maze that he made in the 1980s, and if you look hard you may find the ‘dinosaur’s egg’ (a large boulder that he put in the branches of a field maple tree to surprise the grandchildren). 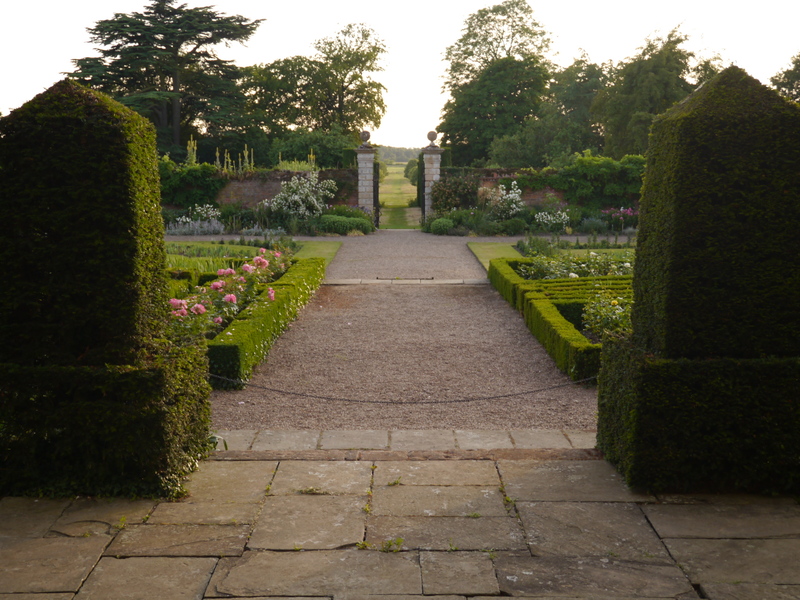 A nature trail starting from just beyond the Temple at the end of the Garden follows a circular route back to the ‘ha ha’ at the end of the Yew avenue and provides a pleasant and interesting walk of about a mile. 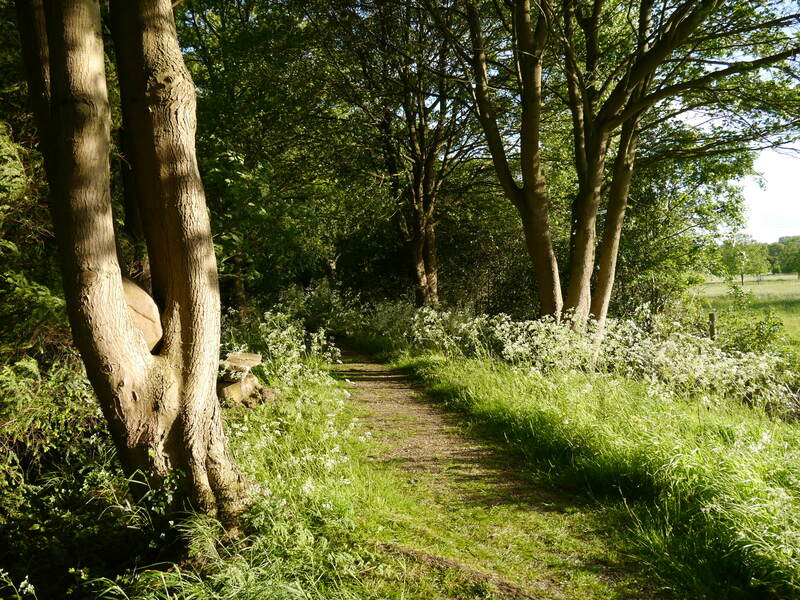 The route passes through woodlands, open parkland and a wetland meadow from where the clay was dug to make the bricks to build Doddington. An eclectic indoor exhibition of over 100 pieces in all styles and sizes to suit all budgets and tastes including a small selection of paintings and sketches.